It has rightly been said, “The best way to appreciate someone you love is to think ahead and picture life without them. Then you would know how much they really mean. ”Valentine day is not just about exchanging gifts and going on a dinner, there is a lot more to it. it is this one day that gives you the opportunity to celebrate love. You can on this day make your partner feel special and appreciated. Though we always appreciate the existence of our lover but not always do we make efforts to appreciate them in words. Today it is time that you break the convention and say that you appreciate your partner and see what difference it makes. 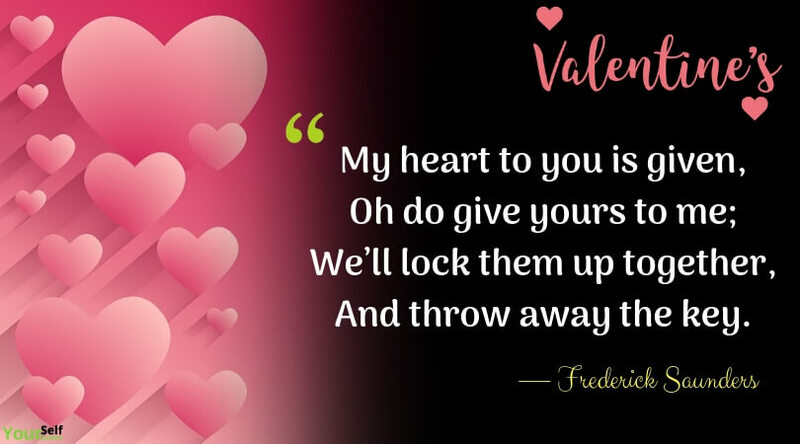 Here we are going to let you know top 10 quotes to appreciate your lover this valentine day that will make this task a bit easier for you. “Feeling gratitude and not expressing it is like wrapping a present and not giving it,.” says William Arthur Ward. All in all, these are the top 10 quotes to appreciate your lover this valentine day. It can rightly be concluded that, “Countless are your deed of loves, countless are your cares you shown. You are a reason to my greatness in life. I appreciate you very much.” In case you have a better idea to put your feelings to words then you can share the same with us in the comment section below.